Let Corey Compressor design your new pipe system. We offer systems that are safe, secure, leak-proof, non-corrosive, as well as easy to alter or expand. Our pipe materials are lightweight, easy to handle, and can reduce installation time by up to 50%. 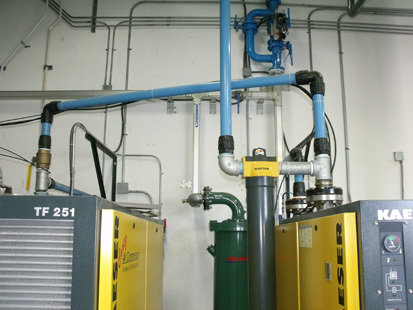 Our systems also meet local OSHA standards for compressed air. Compressed air is as important as water, electricity, and fuel (gas, oil, etc.). The great advantage of compressed air is the high ratio of power to weight or power to volume. In comparing electric motors, compressed air produces a smooth transition with much more uniform force. 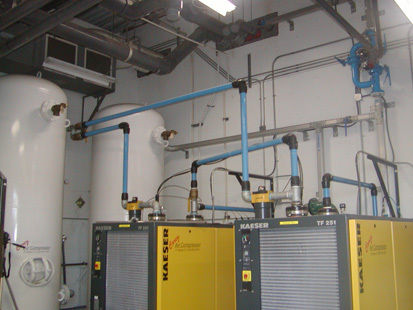 Compressed air equipment can be more economical and more durable. 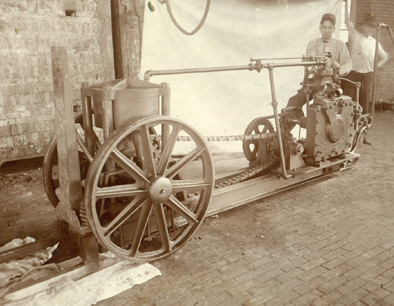 State of the art compressed air systems have been a long standing commitment. Pictured below is the top of the line Bury "3-Cylinder" Variable Volume Air Compressor: water cooled, double acting, two stage compressor. 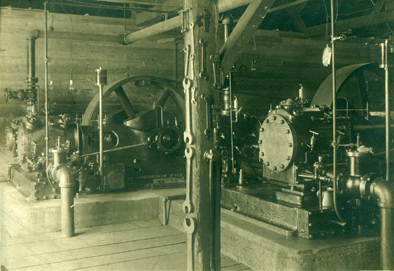 These compressors were installed in 1910 and included the piping system and tools. Air Operated fork lift. Built to load iron into smelting furnace, 10" lift, air motor built by Erie Engine Co. Built by Bury Compressor in 1918.